In a week of physical football that resulted in several players being suspended for personal fouls, one case stood out to me in particular. Rob Gronkowski Tight End of the New England Patriots was suspended just one game for dropping a “Hulk Hogan- like” elbow on a Buffalo Defensive Back well after the whistle was blown on the play. This was a deliberate premeditated non-football act of aggression. 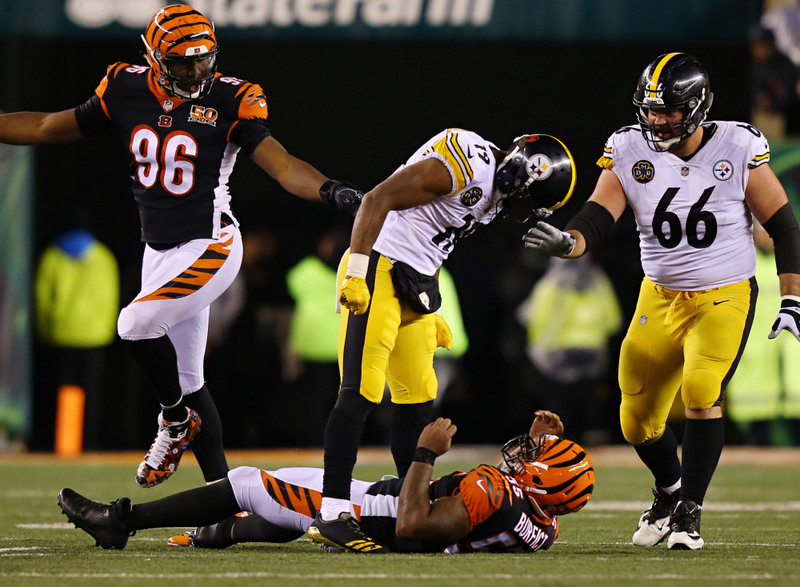 There have been players as recently as this week who have been suspended for football play like Pittsburgh Steelers Wide Receiver Ju Ju Smith Schuster for laying out Bengals enforcer Vontaze Burfict. Even though Ju Ju knocked the holy ghost out of Burfict and stood over him with an Allen Iverson level of disrespect. Gronk’s hit happened to a defenseless player during the dead ball and reportedly caused the player to sustain a concussion. What makes this worse is Gronk’s response, which was that he felt he was held on the previous play and he was frustrated. You don’t get to attack another player because you felt you got held on a previous play. His one game suspension is a slap on the wrist and doesn’t set a good example for young football players coming up the ranks. If guys are getting suspended one game for football hits of this magnitude then I feel something even dirtier should get a harsher sentence. Then again, its Roger Goodell we are dealing with so who knows. Click here to visit my Archives Page and watch some of my videos. Hey Buddy!, I found this information for you: "Sports Commentary: Patriot Privilege by Christopher Johnson". Here is the website link: https://blackmeninamerica.com/sports-commentary-patriot-privilege-by-christopher-johnson/. Thank you.